We’re loving breakfast lately. Biscuits, Cinnamon Dough Bites, Quiche, and now – another quiche! 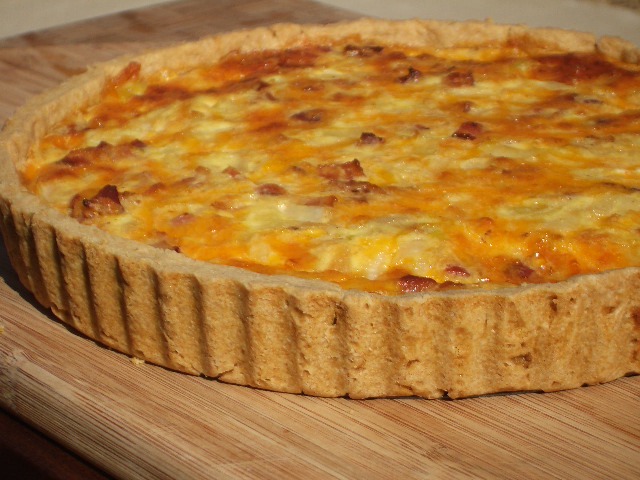 The crust for this quiche is outstanding – buttery, flaky, and most importantly, easy to make. Our last quiche involved spinach, sausage, and onion, because we happened to have those things on hand – this time, we happened to have bacon, and cheddar – Voila! It’s Friday (woohoo! ), so you could easily make the crust and assemble the filling this evening, and then tomorrow morning, preheat the oven, pour the filling into the crust, bake, and enjoy with your first (or second) cup of coffee. Good idea, huh? Try it. oh my goodness, can we come for breakfast? ?